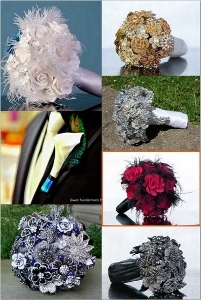 >The following pictures of bridal hair accessories I found on etsy. I am in love with these head pieces and becoming inspired by these fabulous pieces. 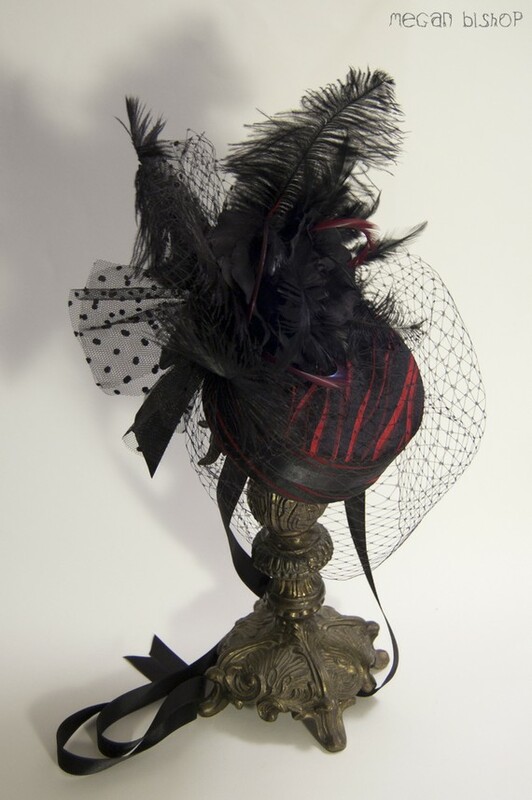 From dramatic hats to feminine flower feather pieces. 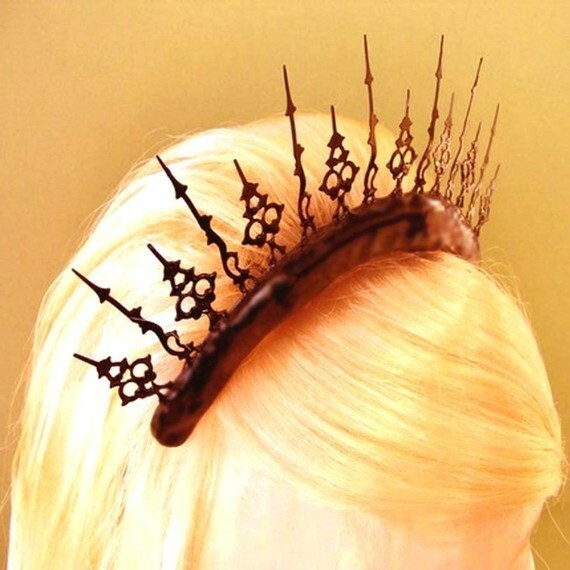 Be it adventure, romance, or just on the prowl this tiara is the perfect accent for any hair do. Made out of small ornate clock hands it adds just a little of Gothic, Neo-Victorian sparkle to any outfit. 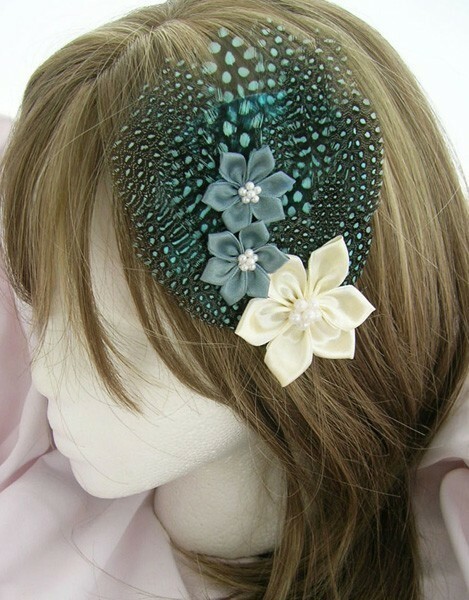 This is the hair accessory that will bring excitement and adventure to you. A tiara with echos of the past encased in it’s clock hand peaks.